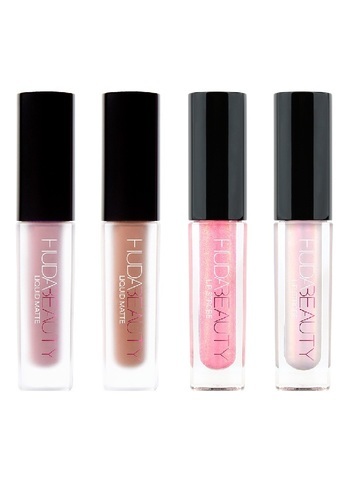 Your all-time favorite Huda Beauty Liquid Mattes and Lip Strobes are now available in 3 mini versions - Cool Pinks / Warm Pinks / Red Edition ! Awaken the makeup artist in you and play around with different color combinations to create the ultimate must-have pout. Gorgeous when used individually or mix and match each of the minis, to give your lips a sculpted and volumized gleam, or a chic matte finish. Perfect for your purse and quick touch-ups throughout the day. The sophisticated set that illuminates the lips and leaves you with a soft yet popping finish. Use each shade solo or play with a combination to create a layered style of your own. For an effortlessly chic look, wear one of your Liquid Mattes on its own. For a subtle strobing effect, apply your Liquid Matte and then dab the Lip Strobe in the center of your lips. For a sparkly and intense shine, wear one of your Lip Strobes on its own. 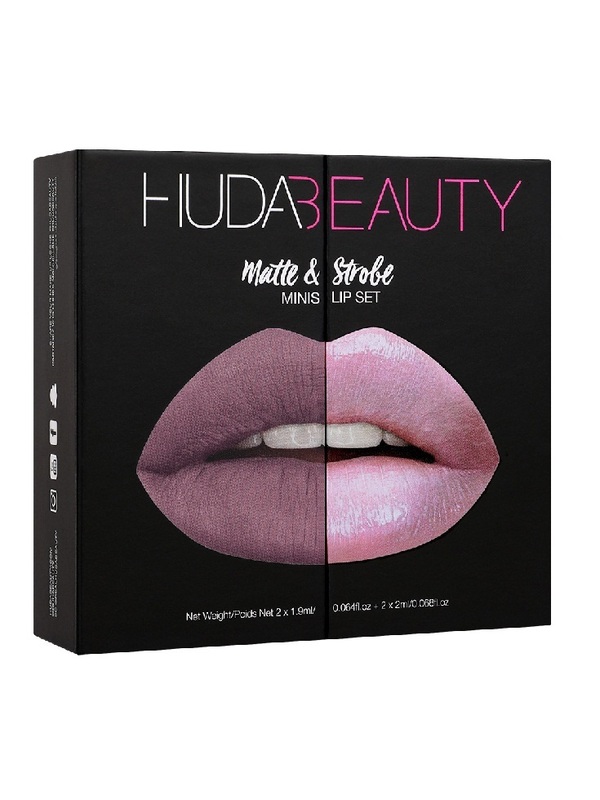 To achieve Huda’s signature lip look, first apply the Liquid Matte as a base and then the Lip Strobe to give your lips an unbeatable gleam. Finish off the look by blotting you lips with a tissue for a matte finish.